This little book is a complete work of art! 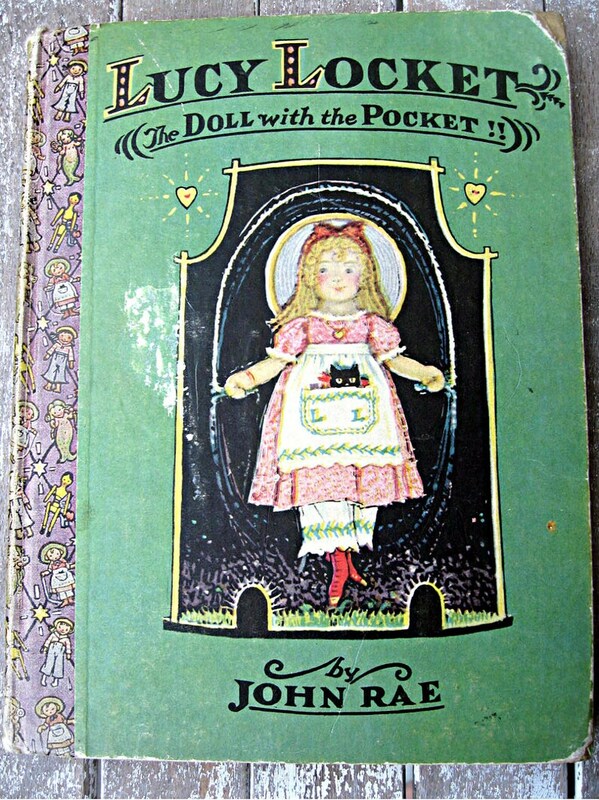 Written and illustrated by John Rae of Raggedy Ann fame, this book is sure to charm. It's about the adventures of a little doll named Lucy. There are gorgeous illustrations on almost every page, most in color, some in black and white. If you've ever read the classic Raggedy Ann stories you will recognize this artist right away with his distinctive and whimsical style. This is a very rare 1st edition book published by "The Gordon Volland Publications" in the U.S.A. The book is in very good condition with the exception of the corners being bumped and the spine isn't perfect, it has just a bit of wear on the top and bottom portion, but the spine integrity is perfect. The front cover also has a bit rubbed off (see 1st photo) just to the left of the main picture. The only writing in the book is an inscription inside the front cover for Marion Stratford. This book measures 6 1/2x8 1/2" and has 120 pages. If you would like more photos I'm happy to send them! If you're a collector of children's books you will love this one!